Keeping in with the coconut water craze, which has converted celebrities such as Madonna and Rihanna to consume this mysterious beverage, is smoothie giant innocent and their new, delightful 100% coconut water carton. What is innocent coconut water? Sworn by, by athletes and consumed by the worlds superstars; coconut water is simply the liquid found in inside young and green coconuts. Innocent have teamed the idea of this health-phenomenon with their non-chemical-no-nasty-artery-clogging policy, to create the revolutionary new edition to the innocent family: innocent coconut water. Channeling a cool, calm and natural beach image with their packaging; Innocent’s coconut water is instantly appealing on the eye. A fashion-statement of some sort; the captivating packaging, branded by a scene-setting, blue Innocent logo, immediately draws images of summer and allows the buyer to know that this product is one thing: 100% natural. “Tastes good, does good”. On the rear of the carton, the innocent brand explain that the people of Thailand allowed them to explore and create this perfect blend of coconut water. 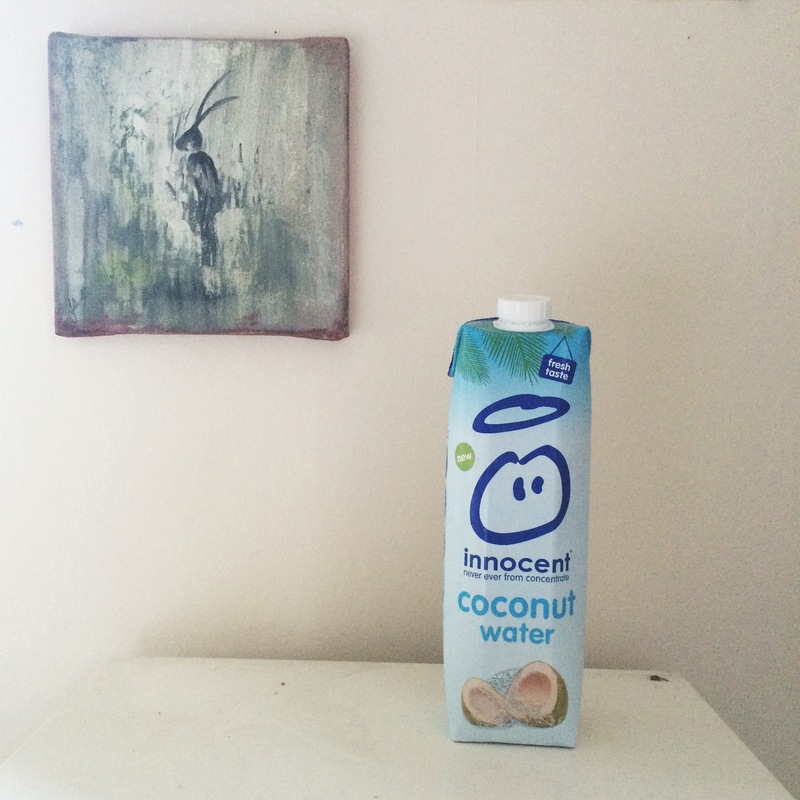 Tasting like sucking it through a straw: innocent, with the help from the secret coconuts of Thailand, have created a drink to take the tycoon company to the next level. Once you go innocent: you never go back. The light and delicate fruity flavour of the water whips your taste buds into a fevered frenzy. With the drink being low calorie, fat free, naturally supporting hydration and counting towards your 5 a day and containing 26% of your daily Potassium dosage (per glass); this unique drink will leave you bursting with energy and excited for your next taste. With each carton being made with four-and-a-half tasty coconuts, the water is the perfect edition to any health-kick and already-healthy and clean diet. The nutritional info for innocent coconut water can be seen below. The new taste sensation that is going to constantly be on my lips: innocent coconut water is the beverage everybody deserves to treat themselves too. You can gain more information on this fantastic product here.